This clinically tested formula is shown to reveal visibly longer, fuller, more beautiful looking lashes in as little as 2 weeks of daily use. The exclusive triple peptide complex, boosted by vitamins, botanicals and lash conditioners, supports lash's natural renewal cycle so they look lush, healthy and revitalized - and eyes appear younger than ever. Works on upper and lower lashes and improves the look of sparse or thinning brows as well. To use on upper and lower lashes: Be sure eyes are clean and free of makeup. 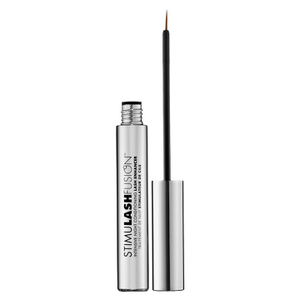 Apply every night with applicator brush to skin along lash line, from inner to outer corner. Store at room temperature. Water/Aqua/Eau, Butylene Glycol, Glycerin, Acrylates/C10-30 Alkyl Acrylate Crosspolymer, Aloe Barbadensis Leaf Extract, Ascorbyl Palmitate, Bht, Camellia Oleifera Leaf Extract, Camellia Sinensis Leaf Extract, Caprylic/Capric Triglyceride, Chamomilla Recutita (Matricaria) Flower Extract, Cucumis Sativus (Cucumber) Fruit Extract, Cyclohexasiloxane, Cyclopentasiloxane, Disodium Edta, Disodium Phosphate, Ethylhexylglycerin, Hydrogenated Lecithin, Lecithin, Myristoyl Hexapeptide-16, Myristoyl Octapeptide-1, Myristoyl Pentapeptide-17, Panthenol, Propylene Glycol, Retinyl Palmitate, Sodium Hyaluronate, Sodium Phosphate, Tocopheryl Acetate, Triethanolamine, Chlorphenesin, Phenoxyethanol. I've been using this (only on my brows) for about a month and half now. It took about 3-4 weeks to see a difference and it keeps getting better.The last time my brows were this full was 20 years ago. I'll definatly keep on using this.The only problem is I don't know how much I've used or how long the tube will last. I'm going to have buy another one and keep it in reserve. I have been using this serum for about 1 month and I already see a significant difference in the length and thickness of my eyelashes. It really does work. My lashes are growing evenly too, which was not the case with RapidLash (freakishly long lashes on one side of my eye only). I don't see a difference with my eyebrows yet but perhaps with continued use I will. Worth every penny!